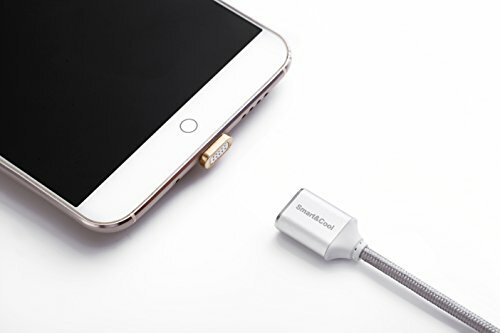 Smart and Cool is a popular brand in the genre of Magnetic Phone Cables. They are durable, and the Nylon braiding gives them extra strength and sturdiness. The magnets are strong and snap-on easily when brought to within the vicinity of the device. As is the case with most charging cables, Smart and Cool Gen4 support fast charging and data transfer. What will you receive in the shipment? You will receive two cables, two i-product tips, and two Magnetic Micro-USB tips(attached to the cables), and removal tools. So, whether you are an Apple (iPhone/iPad) or an Android owner, you are good to go. The package does not come with an instruction manual, but if you can spot the interface tips for your phone type, it should be easy to get set up. Note – The interface tips that plug into the phones are tiny, and you may lose them if you are not careful while opening the package. It would be good to have a dedicated container to hold the magnetic plugs. The tips will stick to each other since they are magnetic. If you use a protective cover for your phone, please exercise caution while inserting the tips to the port through the opening for the cable. Let us take a look at some of the features of the Smart and Cool Gen4 Magnetic Charging and Data Transfer Cable. The cable supports fast charging and data transmission simultaneously. The maximum charging current is 2.1A. The cable has a high-resistance insulation layer for protection from power surges and transmits signals via high-quality copper wire. 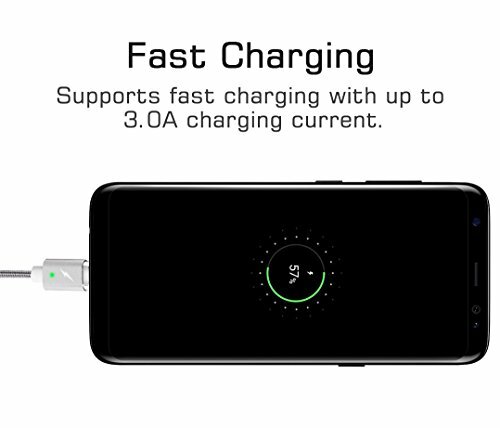 The i-product tips support fast charging and data sync at both ends while the Micro-USB connector supports only one function at either end. 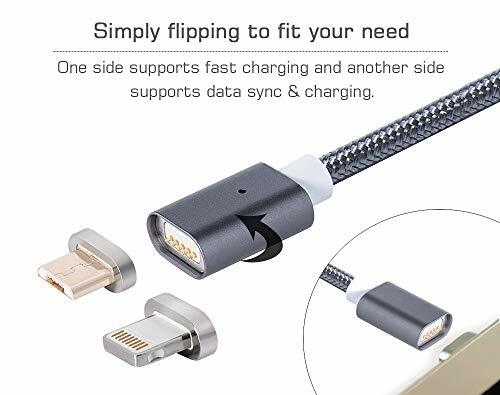 You can flip the ends to meet your data syncing/charging needs. Smart and Cool Gen4 was designed to work with all Apple and Android Devices, but after it was released and based on feedback from customers and further testing by the manufacturer, the product information had a note that the cable is incompatible with Motorola devices and Oculus Go. The manufacturer has reported no other compatibility issue. The cable is also not compatible with earlier and later versions, i.e., Gen3/Gen5/Gen6/Gen8/GenX. The cable with the tip can be easily operated with one hand, and once the tip is near the vicinity of the device, the powerful magnets do their job. This feature is especially helpful for senior citizens, busy professionals who spend a lot of time driving and folks who are visually impaired. The LED indicator provides a visual indication when the phone is being charged. The light from the indicator may be too bright if you are charging the phone in a dark room and are trying to get some sleep. Magnetic charging cables are perfectly safe to operate and charge your phones. It is common knowledge that once a smartphone is charged to 100%, it is advisable to remove the charging cable from the device. The battery starts draining if one were to keep the phone plugged into the charger and this will impact the life of the cell. This principle applies to magnetic chargers also and is perhaps even more critical if you happen to be someone who charges their phone overnight. 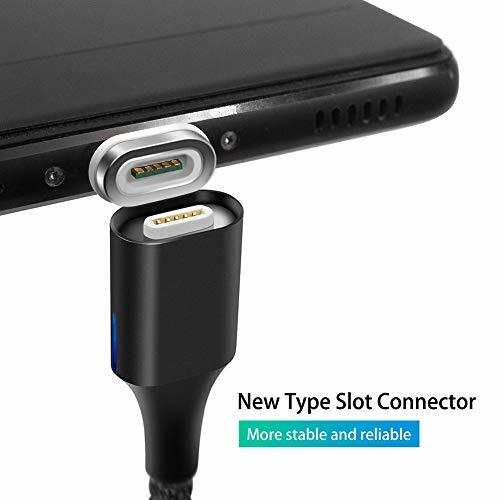 Due to the fast charging nature of these cables, you may end up heating the phone for hours, and that is not good for the battery and the phone. Exercise caution while using cables around other electronic devices such as Personal computers, Television sets, etc. Do not use them in an environment that has excessive metal debris or other magnetic devices as the magnetic tips may attract the debris and cause a short-circuit. You can peruse the removal tool if the magnetic tips get stuck to the charging port. Here is a quick comparison chart of the different models of Smart and Cool Magnetic Charging cable. Our top picks from the table below are to go with either the Gen4 model or the GenX model if you want USB-C Magnetic chargers. 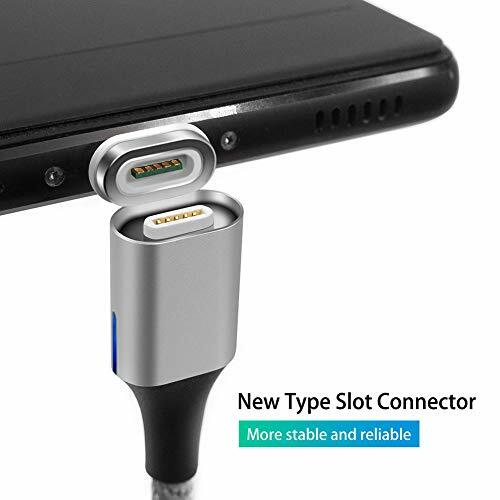 Smart and Cool Gen4 Magnetic Charging cable is an excellent Magnetic Charger cable for someone who wants fast charging and data sync at a very good price-point. Take a look at the different versions available in this brand and go with the model that best suits your need. You won’t go wrong with choosing this product. If you do end up getting a defective piece, Smart and Cool has a responsive customer service, and they are pretty good about replacing the product if you report the problem within the warranty period.